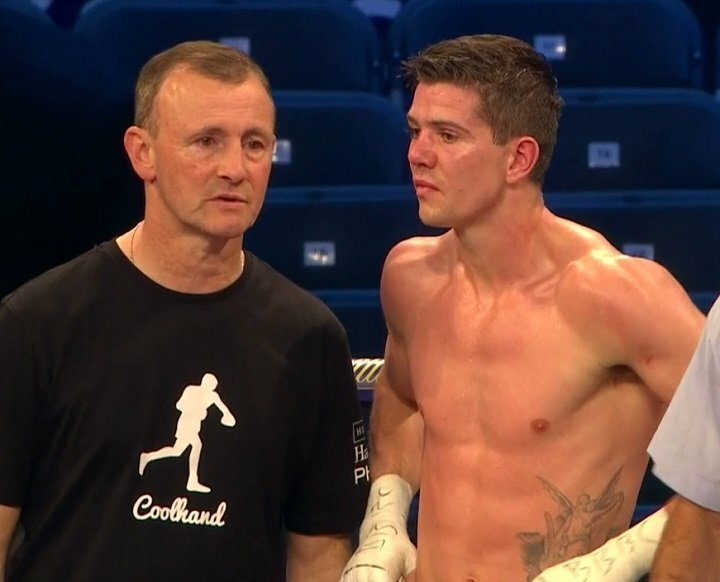 By Scott Gilfoid: Eddie Hearn is saying the rematch between Luke Campbell and Yvan Mendy is a done deal for a WBC lightweight title eliminator at a still to be determined date and venue in September. The fight will likely take place in the UK, which will put Mendy at a disadvantage. However, he’s already proven in the past that he can beat Campbell in the UK, so he should be able to do the same thing in a second fight. Mendy is a much better fighter than Campbell. Hopefully the judges are wide awake and alert when they work the Campbell-Mendy II rematch because it would be a black eye to the sport if the judges give it to the wrong guy on the night. The winner of the World Boxing Council lightweight title eliminator will be the mandatory challenger to WBC 135 lb. champion Mikey Garcia (38-0, 30 KOs). Mendy and Campbell have shown nothing from their recent fights that would suggest that they’ll have any chance of beating the likes of Mikey Garcia. Well, I’d like to think that Mendy would have at least a sliver of a chance against Mikey based on his past wins over Campbell and Javier Clavero, the fact of the matter if he doesn’t possess the experience needed against world class opposition to get the job done. Mendy will likely put in a valiant effort against Garcia, but still wind up losing. As for Campbell, I expect him to be blown out in two of three rounds in the same way that Dejan Zlaticanin was by Mikey in 2016. Garcia hits too hard, and has way too much talent for him to get the job done. Mendy (40-4-1, 19 KOs) already beat the 30-year-old Campbell (18-2, 15 KOs) by a 12 round split decision in December 2015. Although the fight was scored as a split decision, it was a clear victory for Mendy in the real sense. The judge that scored it for the southpaw Campbell seemed to be watching a completely different fight, as there was no mistaking the fact that Mendy won. It’s too bad that Campbell has opted to go in the direction of the WBC title held by Garcia because that’s a tough direction for a guy like him to be going in. I mean, I can perfectly understand why Campbell has decided to go in that direction. His wily promoter Eddie Hearn probably figured that Mikey Garcia would vacate his WBC lightweight title after he won the IBF light welterweight title from Sergey Lipinets. Garcia surprised a lot of boxing fans when he vacated the IBF strap rather than agreeing to defend it against his mandatory challenger Ivan Baranchyk. If Garcia is going to keep his IBF lightweight title for a long period of time, then Campbell will need to go in another direction towards the WBO belt, because he’s never going to be able to beat Garcia. He’s too talented and Campbell is too chinny. But none of this will matter of Campbell can’t beat Mendy, which is what I suspect will be the case.